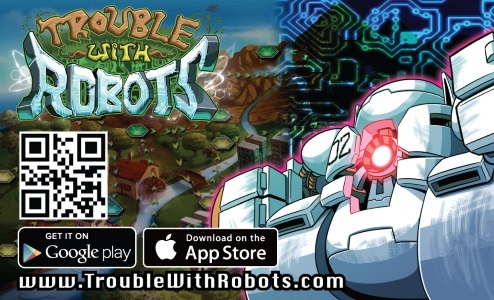 We are pleased to announce that Trouble With Robots (TWR) is free to download AND free to play. There are no in-app purchases. There are no charges to download the game. There are no reasons not to play it. You should immediately head over to download TWR on iTunes or download TWR on Google Play.